Nicks 15 yr old Daughter at the controls of Belle! At harvest time every member of the family are involved!! its non stop. Spring harvesting flattened corn from over wintering! this crop had 8ft snow upon it,and temperatures of -44 most of crops in area suffered from no germination!! A close up of Belle in action with Nicks Daughter at the helm!! Farmers and a politician greet Nick when he arrived in Manitoba!! 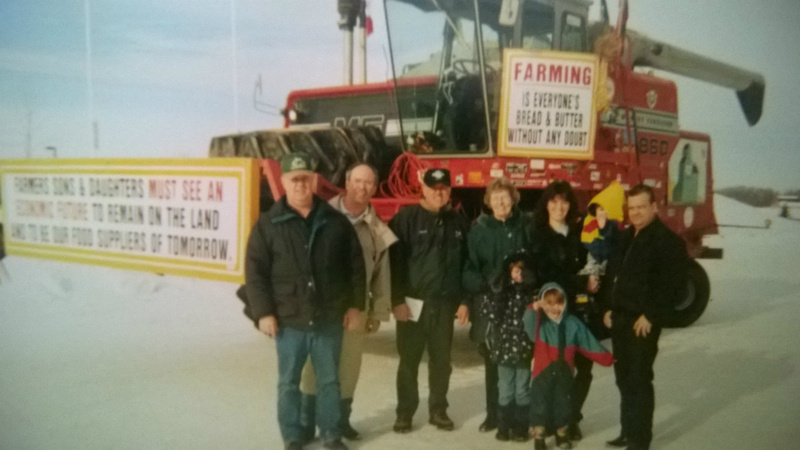 It is hard to believe that this story happened 15 years ago! 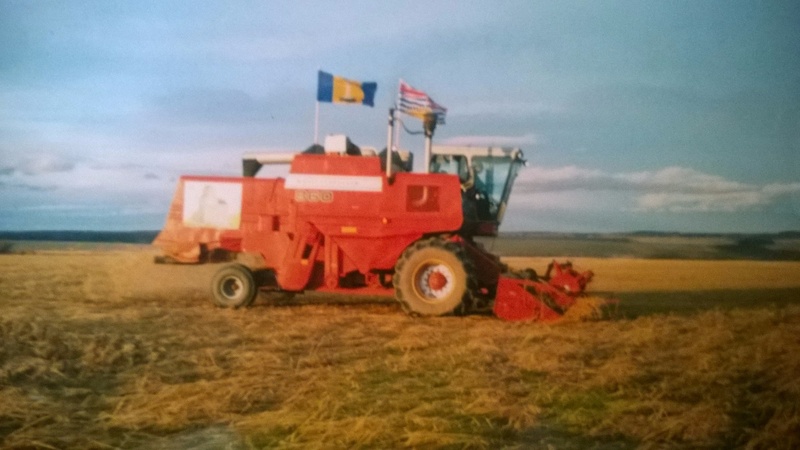 Life today is a whole lot different for Nick, he is now retired from farming, and after a busy life here and in Canada he deservedly earns a peaceful retirement, although Nick does retain about 20 acres for haymaking every season for the horses that they keep! 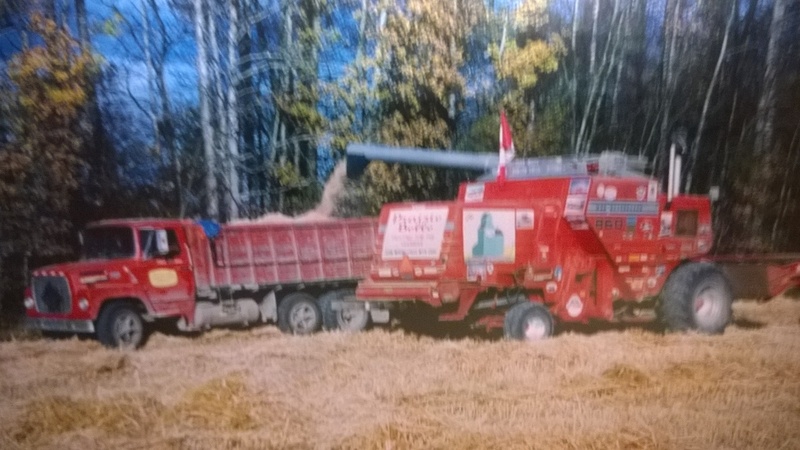 but the day to day running of a large scale arable business is now behind him and for sure the farming industry in Canada is most definitely in a better place than those troubled times that spurned this epic trip 15years ago!! 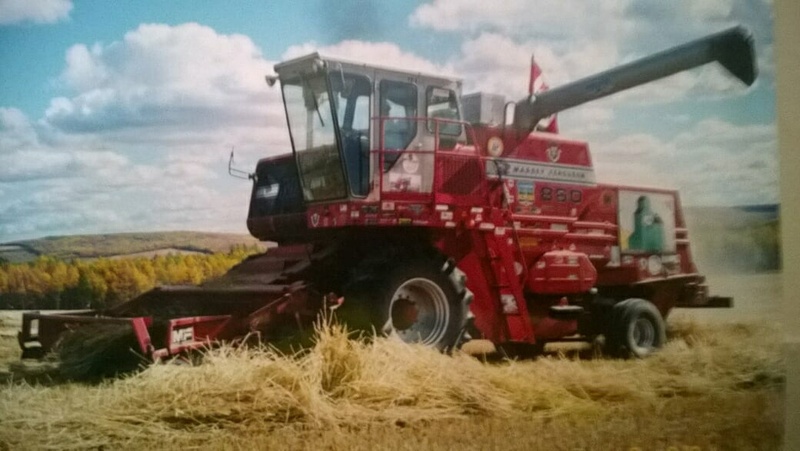 Prairie Belle surely the most travelled combine, now currently resides in a museum in Wadena ,Saskatchewan, she sits alongside other antique and vintage farm machinery, her harvesting and relentless miles now just a memory! 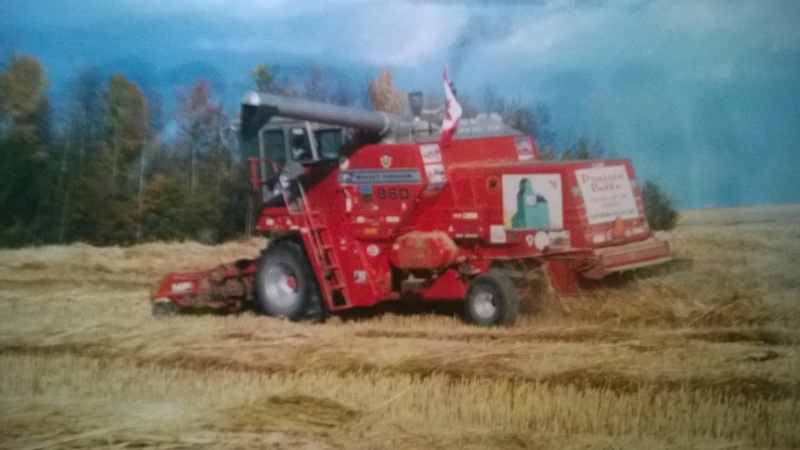 but for sure a legacy that the Canadian farming community and Nick Parsons can be very proud of. I am hoping to obtain some current pictures of Belle as she is today part of a museum display, i will list these when they arrive. When i heard of this epic trip i thought it read like a script for a film! for sure i only hope i have done the story some justice, and i must say a big thank you to Nigel Edwards who put me in touch with Nick and Jane who in turn gave me their full permission to feature the story on my website, and supplied details and photographs to use! all the photos featured are copyright to Nick Parsons. The photo quality during uploading has unfortunately suffered clarity and i apologise for this. Many of us journey through our lives gennerally accepting changes that we feel powerless to stop But very few of us have the courage to embark on a quest that despite the considerable odds! And personal hardships , it May just change many other hardworking people's lives now and in the future!a very noble act indeed. Can i say a big thankyou again to Nick and family and wish them well in their retirement, it has been a pleasure to do this and to add it to all the other interesting stories featured on Yellowswirl.